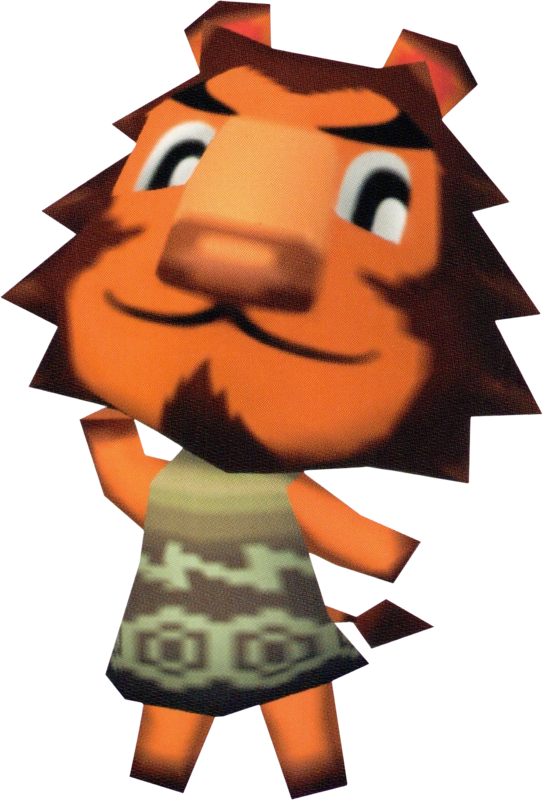 Jūbei is a cranky, lion villager from the Animal Crossing series. His only appearance was in Doubutsu no Mori e+. Jūbei is a dark-orange lion with a brown goatee to match his brown mane and large green eyes. His initial clothing is the thunder shirt. Jūbei has a cranky personality, meaning he will appear rude to the player at first, but he will warm up to the player once they get to know him. He will seem mature in comparison with the other male personality types. Jūbei will get along with other cranky villagers, as well as snooty villagers due to their similar rude personalities. The e-Reader card for K.K. Rally, which features Jūbei. Modified on April 15, 2019, at 21:49.